Suncorp’s sports club grant. There are thousands of change-makers in Australia with the dreams and energy to bring positive change to the lives of others. And make a difference in their community. Sunsuper‘s Dreams for a Better World partners with the visions of Australians and local initiatives to dream big and do good. 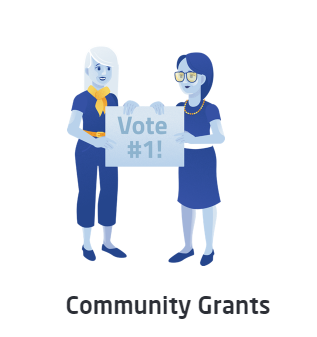 Grassroots community groups, not-for-profit organisations and now small businesses can apply to win a share of $150,000 in grants. We’re looking for dreams that improve the lives or living standards of other Australians. It may be a community development program to create more affordable housing or help our ageing population or new-comers to Australia. Or your dream may help kids and families in need or simply create a better environment for a more sustainable world. Dream big and tell us how your not-for-profit organisation can help others live better. Does your dream empower others to learn and earn to have a brighter future? Tell us if you need funding for education initiatives or to create jobs for those in need, or improve financial wellbeing and affordability for Australians. We’re also looking for dreams that enhance employment opportunities, or offer training and support to those who need a helping hand to get into or back to work. If you’re looking for sports grants to help people of all ages and abilities be more active, or to improve the health and fitness of those in your community, apply for our Active Community grant. Or if you have a dream to create more active communities through health initiatives, wellbeing programs or by tackling medical issues faced by the wider community we also want to hear from you.